Buy 3 or more for $3.99 each. 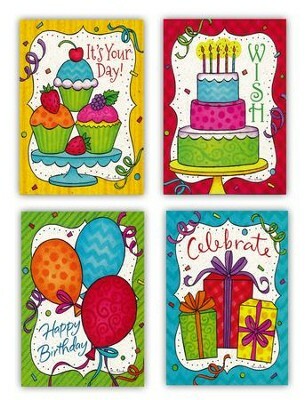 Brighten a loved one’s special day with an inspirational birthday card from Divinity Boutique's Premium Card Series. Celebratory artwork from Tina Wenke is perfectly paired with birthday blessings and uplifting Scripture. I'm the author/artist and I want to review Birthday for Kids Cards, Box of 12.